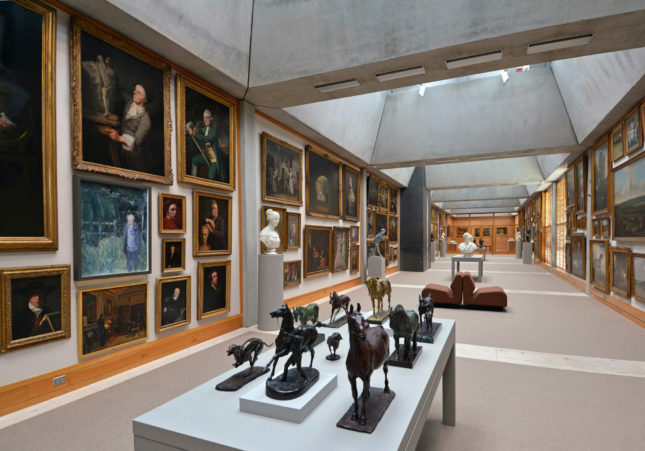 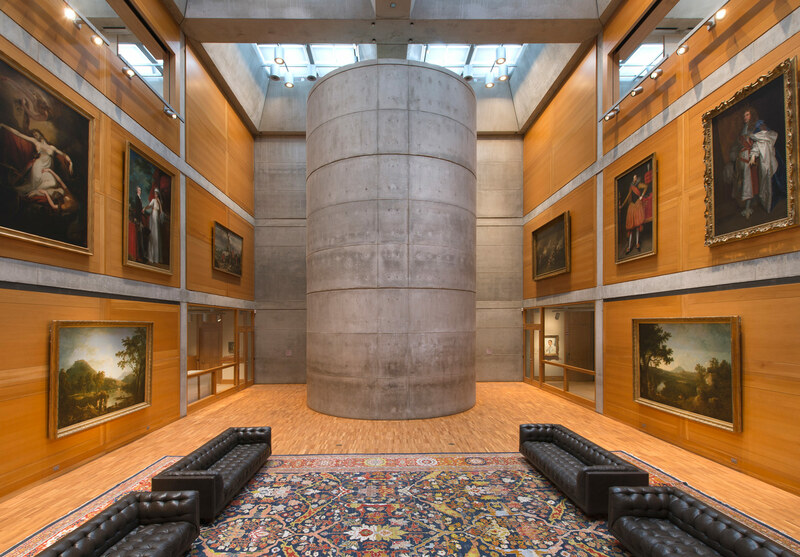 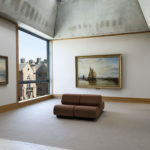 After eight years of planning and construction, three phases of conservation work, and being closed for 16 months of renovation, the Yale Center for British Art in New Haven—the 1977 Louis Kahn masterpiece and his final building—reopened to the public May 11. 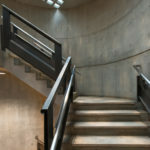 The work was based on a conservation plan commissioned by Amy Meyers, director of the center, shortly after her arrival in 2002, when elevator control panels had to be replaced and she realized how quickly design and maintenance decisions could cause a major building to “drift from its original form in unsatisfactory ways.” The plan was written by Peter Inskip of the British conservation specialist firm, Peter Inskip & Peter Jenkins Architects; his colleague, Stephen Gee; and Constance Clement, the center’s deputy director. 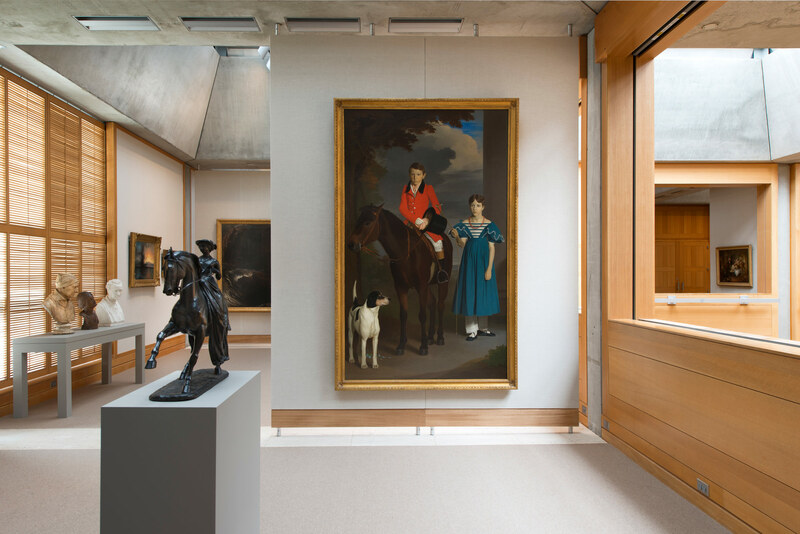 Using archival materials from Yale and the University of Pennsylvania, the team analyzed the center’s materials and established a series of 142 policies that led to the first three phases of the project. 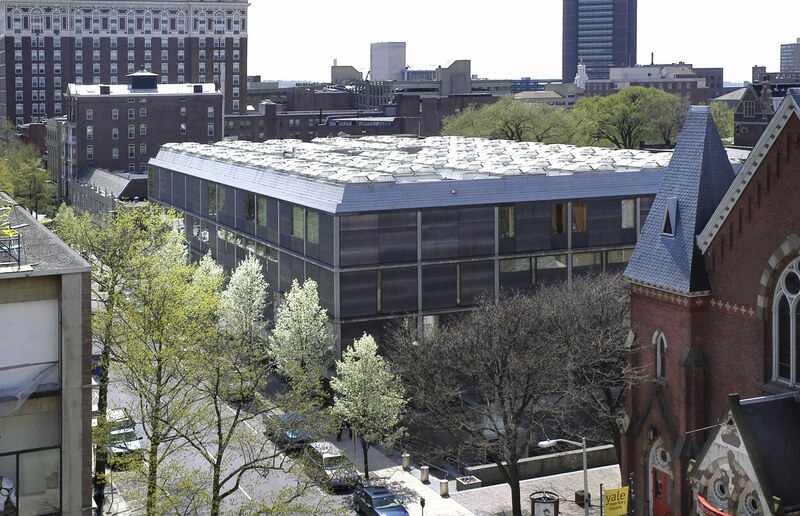 The project’s architect is Knight Architecture of New Haven, headed by George Knight, a 1995 graduate of the Yale School of Architecture and a teacher there since 2004. 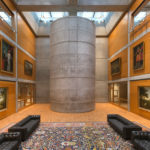 (Kahn, who studied architecture at the University of Pennsylvania, was a professor and design critic at the Yale School of Architecture from 1947 to 1957.) 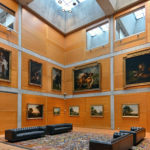 The center sits directly across Chapel Street from the 1953 Yale University Art Gallery, Kahn’s first commission; both museums are recipients of the AIA Twenty-Five Year Award. 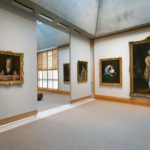 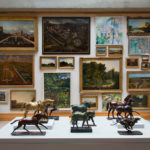 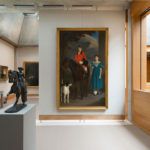 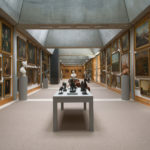 The Center describes the project as “an opportunity to reimagine and reconfigure its presentation of more than 500 works from its permanent collection,” the largest collection of British art outside the United Kingdom. 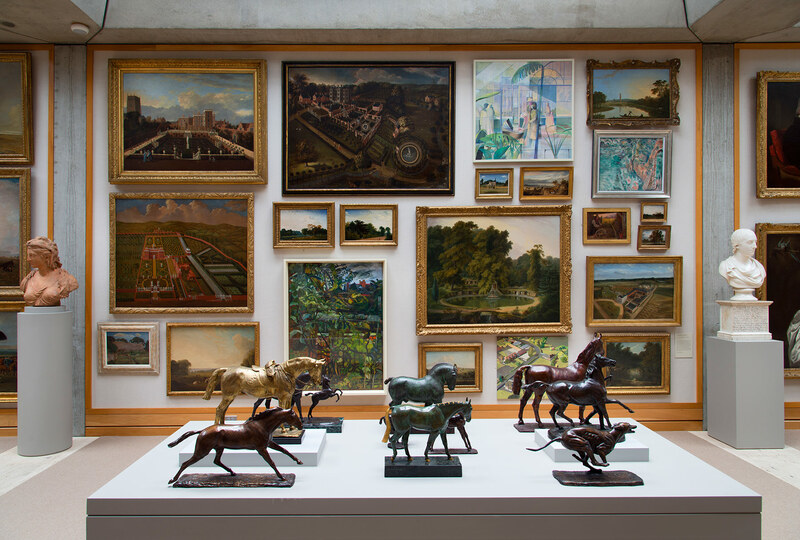 700 objects are now on display, up from 500 previously. 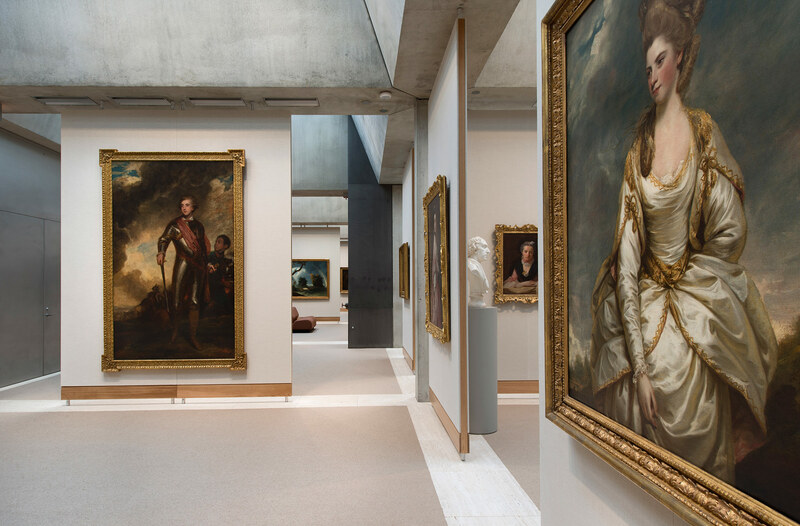 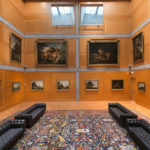 The project’s first two phases involved the 2008-11 rehabilitation of its exterior lobby court, and repairs, made in 2011-13, to its lecture hall lobby, and 2013 refurbishment of areas used by the departments of prints and drawings, and rare books and manuscripts. 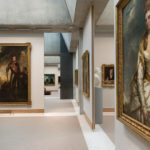 The third phase—involving enhancement of the center’s galleries and lecture hall; upgrades of mechanical and electrical systems; and improvements to fire protection, security systems and accessibility—was undertaken in 2015 and 2016, when the center was closed for 16 months. 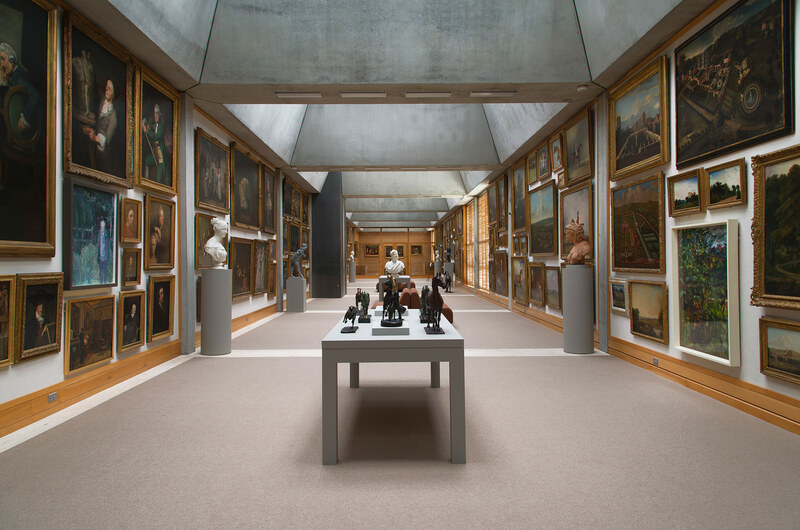 The budget for this work was $33 million, provided by the Center’s endowment. 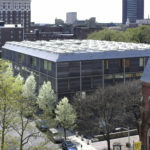 Kahn’s design for the center was completed after his death by Pellecchia & Meyers, a firm started by two of his former employees. 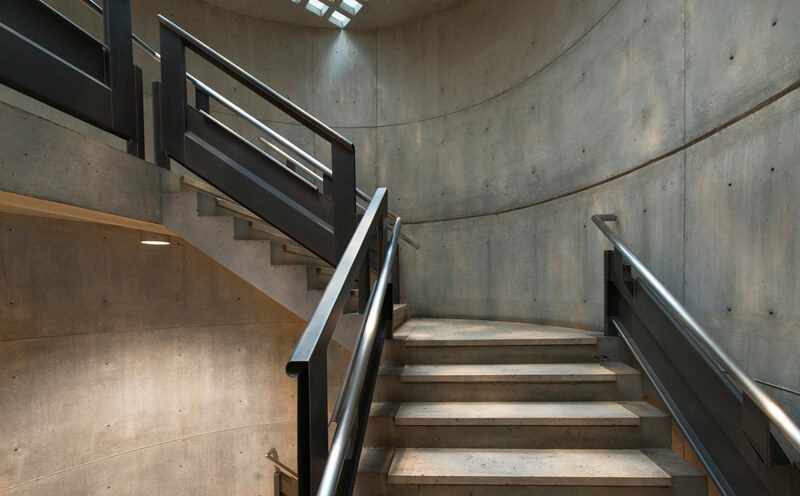 It features a concrete exterior structural frame with pewter-colored matte steel and reflective glass infill panels, as well as a geometric, five-floor interior, designed around two interior courtyards. 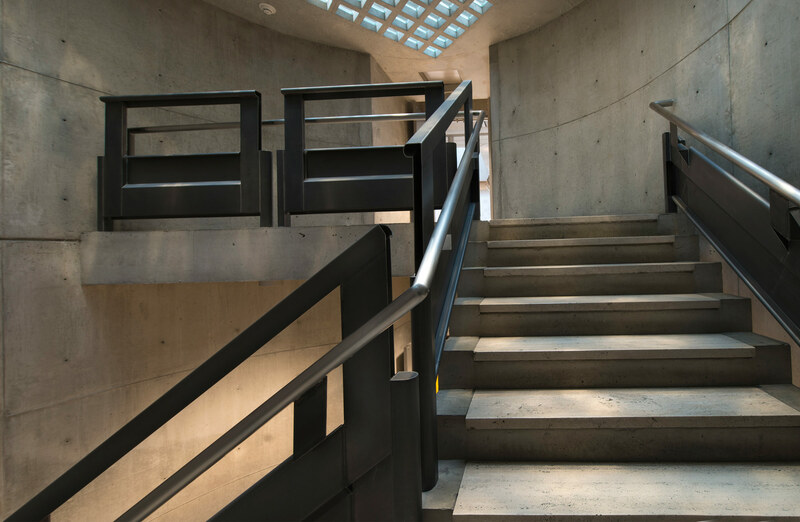 It employs natural materials including travertine, white oak, and Belgian linen, and maximizes natural daylight with skylights throughout the fourth floor and a series of plexiglass diffuser panels, mounted below the skylights, to scatter light and provide even illumination. 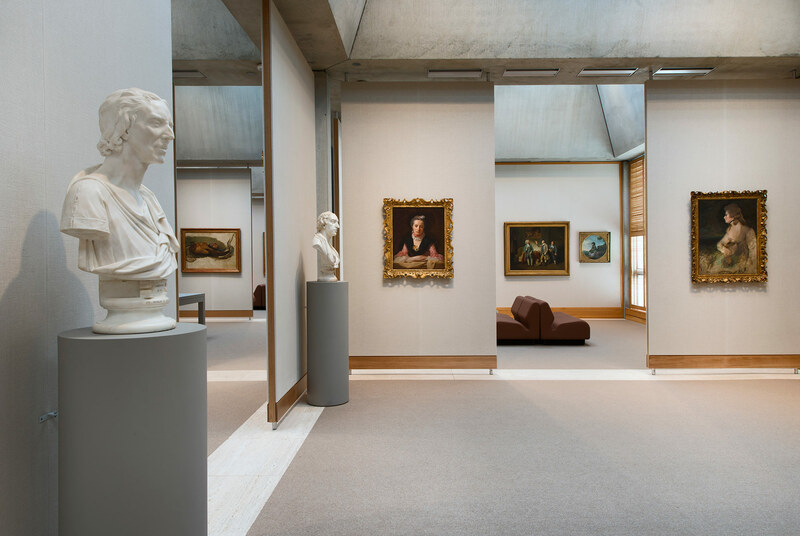 Among the most beautiful aspects of the project’s third phase is transformation of the center’s Long Gallery into a teaching and study gallery, as envisioned by its founding director, and creation of a new collections seminar room, located in a former administrative office at the east end of the Long Gallery. 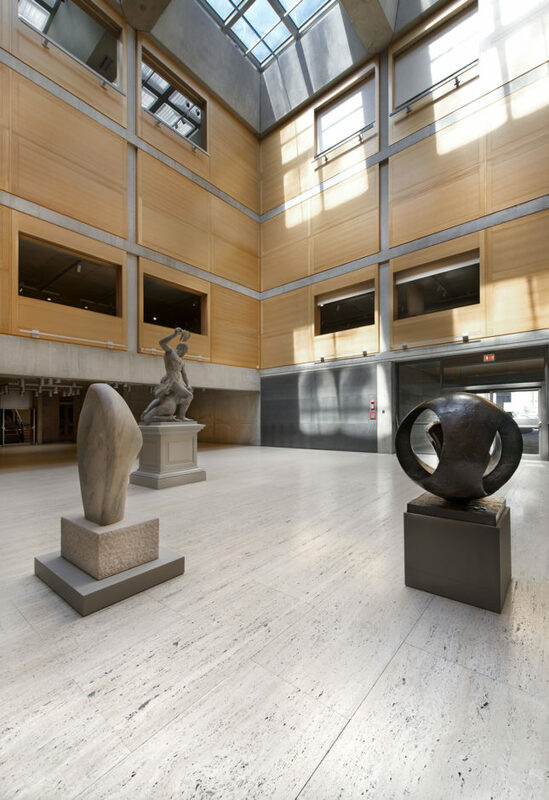 These spaces are both on the center’s fourth floor. 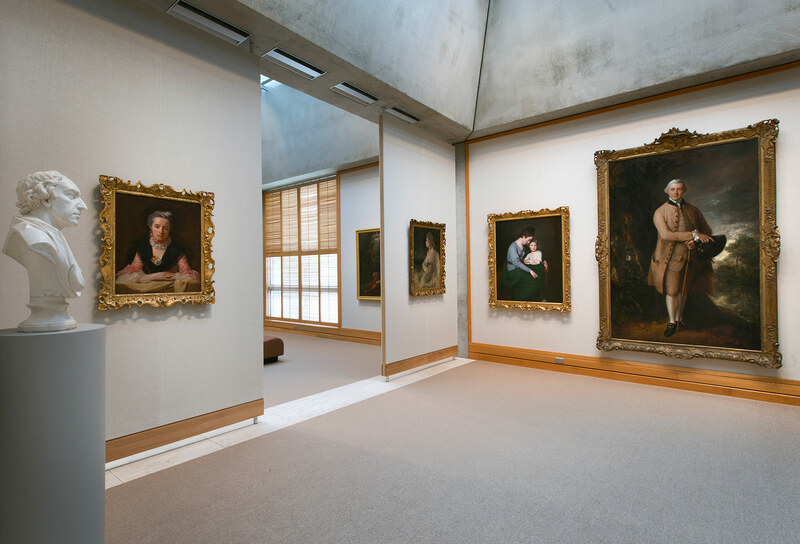 Movable, Belgian linen-covered gallery partitions called “pogos,” which had previously subdivided the Long Gallery, were removed. 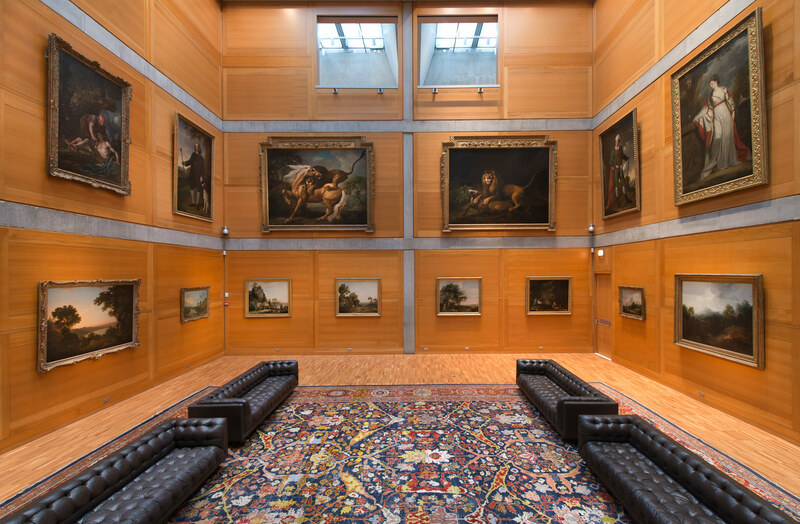 This created an unobstructed view of the 140-foot-long space, where over 200 works of painting and sculpture are now presented floor-to-ceiling salon style, across seven bays, arranged by themes like marine painting, the British empire and “into the woods.” The collections seminar room has new floor-to-ceiling white oak wall panels that contain special display systems that permit close study of objects under diffused natural light, and custom, white oak furniture and cabinetry. 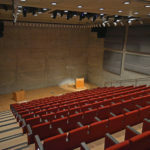 The center’s lecture hall also has been refurbished. 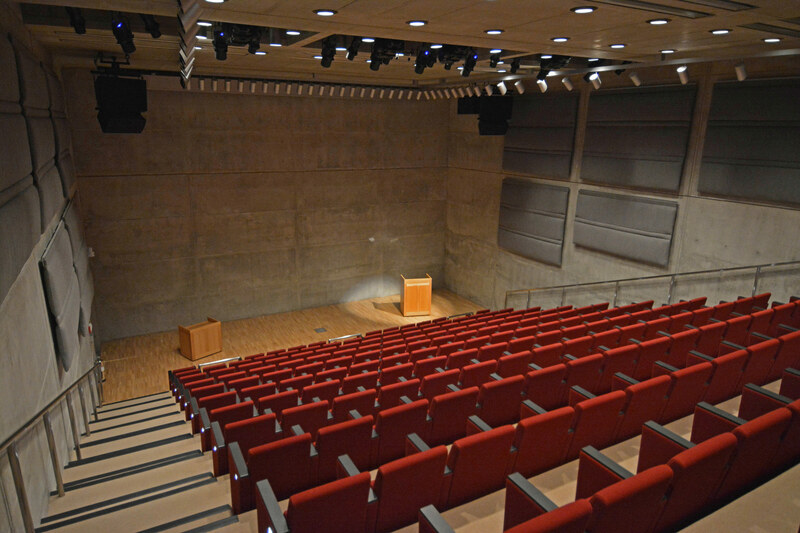 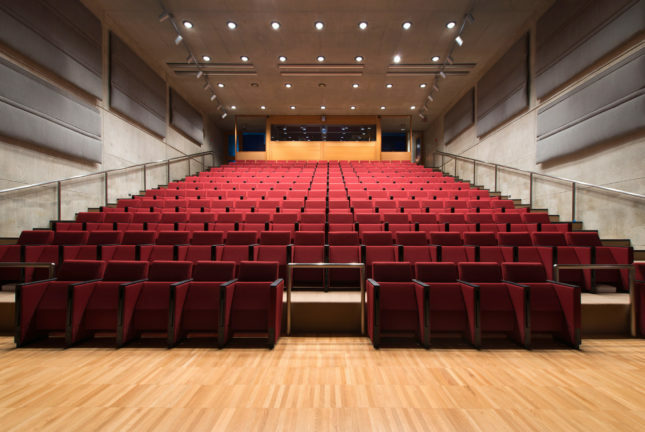 It has a new, central seating layout that accommodates 200 fixed seats and five wheelchair and accessible spaces; new stainless steel handrails and LED step lights along the aisles; new theatrical and house lighting; and a completely renovated audiovisual system, with state-of-the-art recording and presentation capabilities. 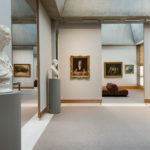 The precise care taken throughout the project is evident in many of its smallest details: Michael Morris, an architectural materials conservator at the Metropolitan Museum of Art and member of the project’s conservation and design team, advised on restoration of the center’s travertine. 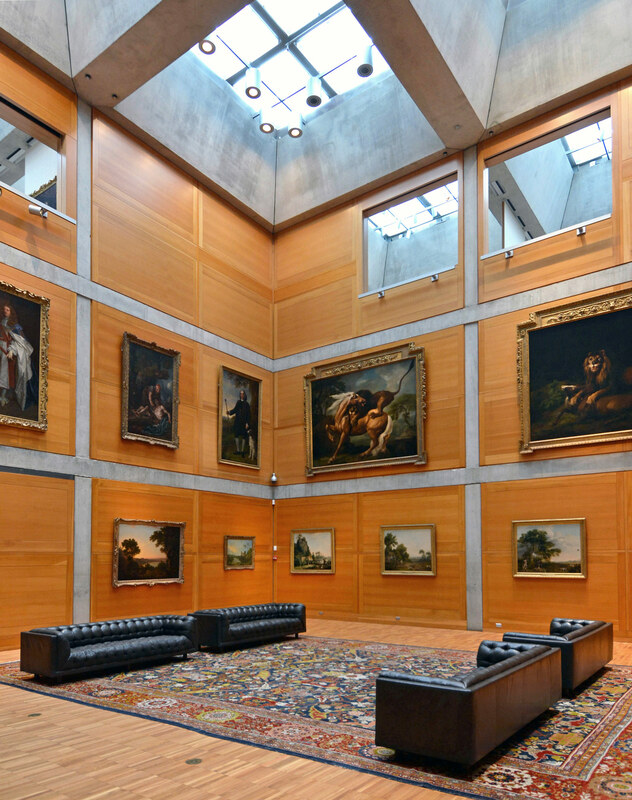 The team located sheep in New Zealand that grew the wool used in new, undyed carpet installed throughout the center, replicating Kahn’s original carpet and replacing synthetic carpet installed in 1998.And it was fortuitously able to locate a new version of gallery seating originally designed by Don Chadwick for Herman Miller. 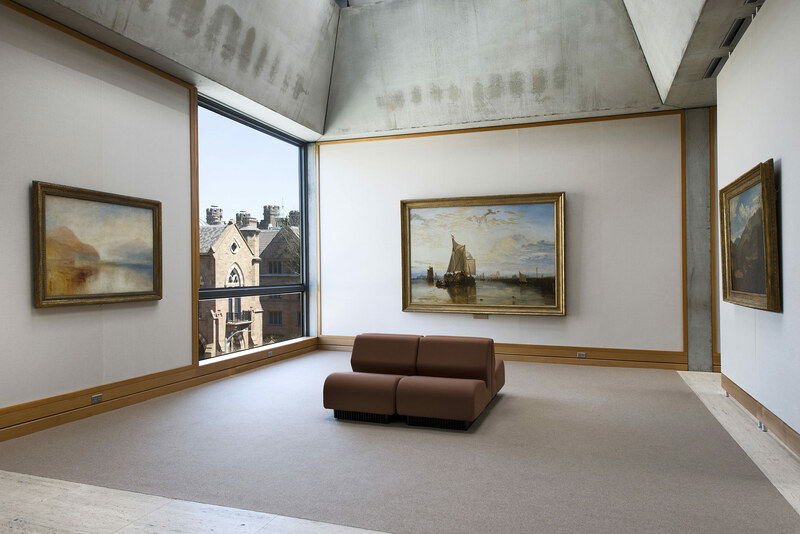 The Chadwick seating was selected by the original interior designer, Benjamin Baldwin. 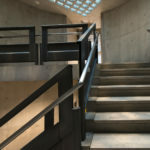 She also said she hoped the example set by the center would be followed by stewards of other modernist buildings, noting that similar initiatives are in fact underway at Kahn’s Salk Institute for Biological Studies, in La Jolla, Calif., and his Richards Medical Research Laboratories at the University of Pennsylvania.